No matter your property type, large spaces always look better with ponds and water gardens. 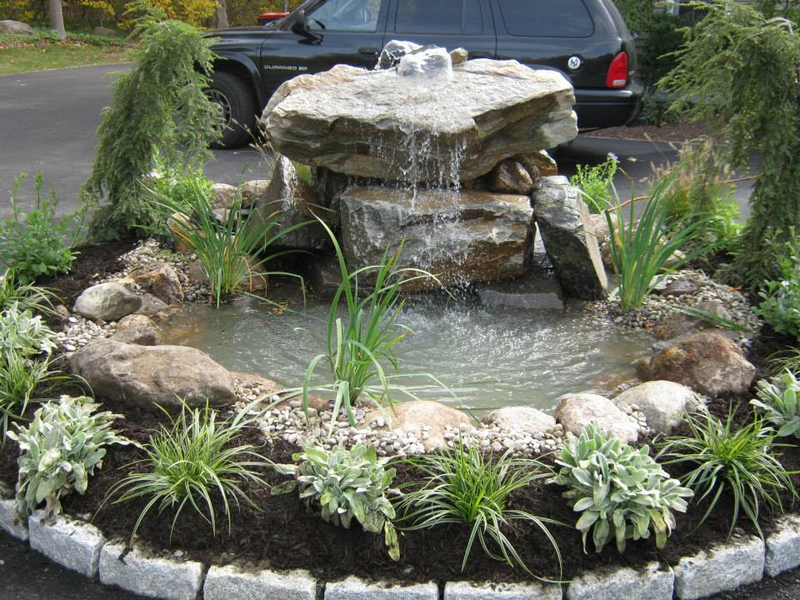 Not only can a landscape pond enhance the look of your home, but it can also create its own healthy ecosystem. Water gardens and ponds are beautiful and easy to sustain. With a little bit on knowledge, you can maintain this attractive feature in your yard for years to come. There are lots of different plants to consider for a landscape pond. Some people choose floating flora, marginal flora or submerged flora. Often, people will choose a variety of different types. Water lilies, for example are a submerged flora, whereas marginal flora would be plants like iris, lotus and cattail. Then floating flora are free floating like the water hyacinth. Small landscape ponds create an ecosystem. Flora and fauna live well in water based environments. What is great about this type of ecosystem is that it is easy to maintain. It generally takes care of itself with little maintenance from you. Ponds can create a wildlife garden. These manmade ponds make a great habitat for plant and wildlife species. Amphibians, birds and mammals become part of a new ecosystem. Many of these gardens maintain themselves for the most part. With a little planning, you can even design your pond to attract wildlife that controls pests. Manmade pond history dates back thousands of years. In ancient cultures, people used ponds to enhance the look of their gardens. The designs enhanced the architecture and landscape. The most famous cultures that built aquatic structures for fish production and agricultural purposes were from China and Persia. To dress up your property with a pond will not only raise your property value, but it will allow you to enjoy the peaceful beauty of an aquatic habitat on your property. With help from a landscaping professional, you can have your perfect landscape pond in no time.